Combining rare coastal woodlands and a beautiful coastline, this loop walk immerses the walker in natural beauty and a genuine sense of remoteness. 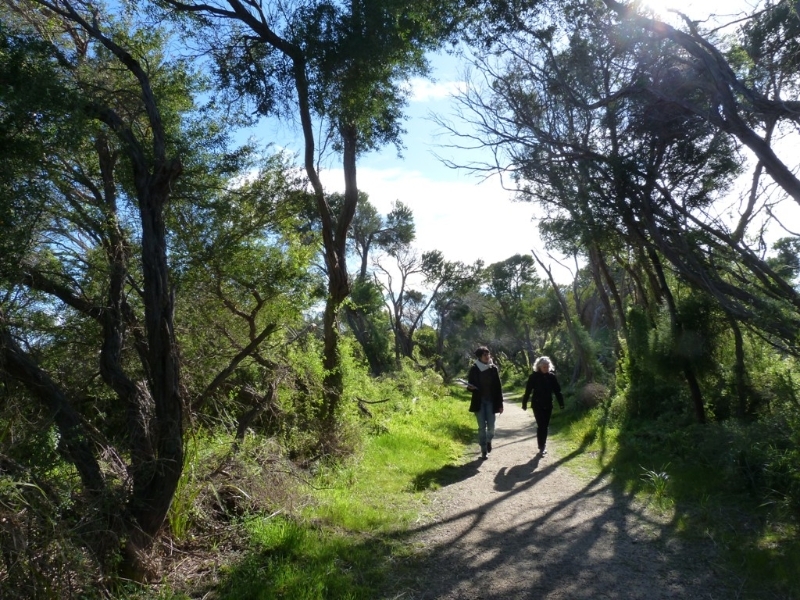 Starting at the Beach Road car park, this walk meanders along a very level path through a beautiful forest of Coastal Tea-tree and Wirilda (a type of wattle). The forest canopy provides protection, food and shelter for the diverse and abundant birdlife. Bats also roost along here in the cracks of branches. 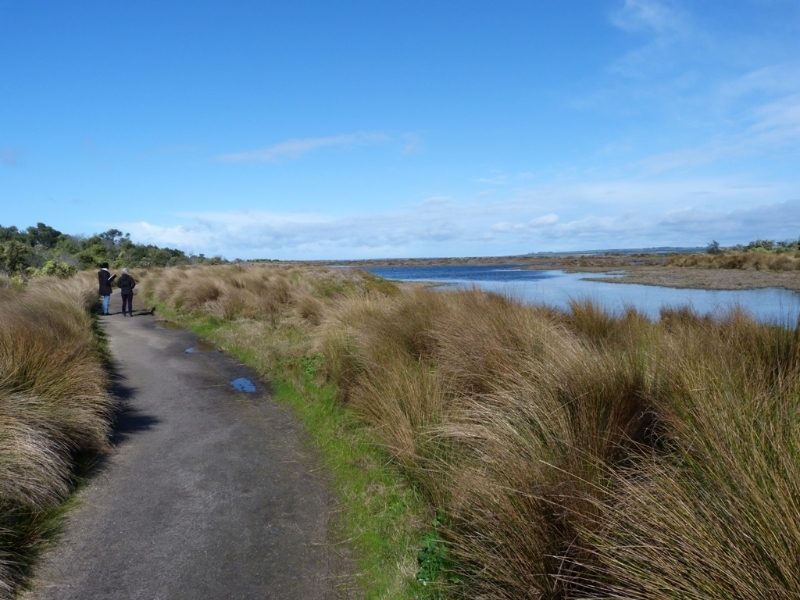 After about 1km the walk leaves the forest to reveal wonderful views of water-filled marches and Swan Bay. The salt marshes and dune vegetation in this area create a unique habitat for wildlife. This habitat is very precious as it has largely disappeared from the rest of Port Phillip Bay. The track turns left, passing through a little more woodland before crossing a boardwalk that sits above a large lagoon. The Glasswort shrubland visible around the lagoon provides food for the critically endangered Orange-bellied Parrot. The lagoons are not tidal and during long dry spells they can dry out, leaving a hard salt crust on top of the mud. Waders from all around the world arrive in this area during the Summer months to feed in the saltmarsh, before returning to their northern homes to breed. Swallows and other small birds show off their acrobatic skills catching insects in mid flight. 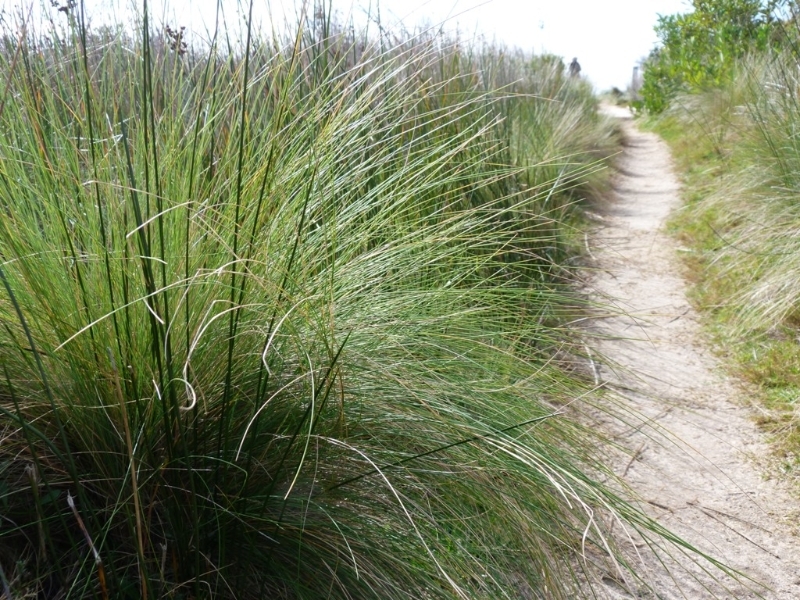 Hairy Spinifex and Sea Rocket is abundant along the coast. 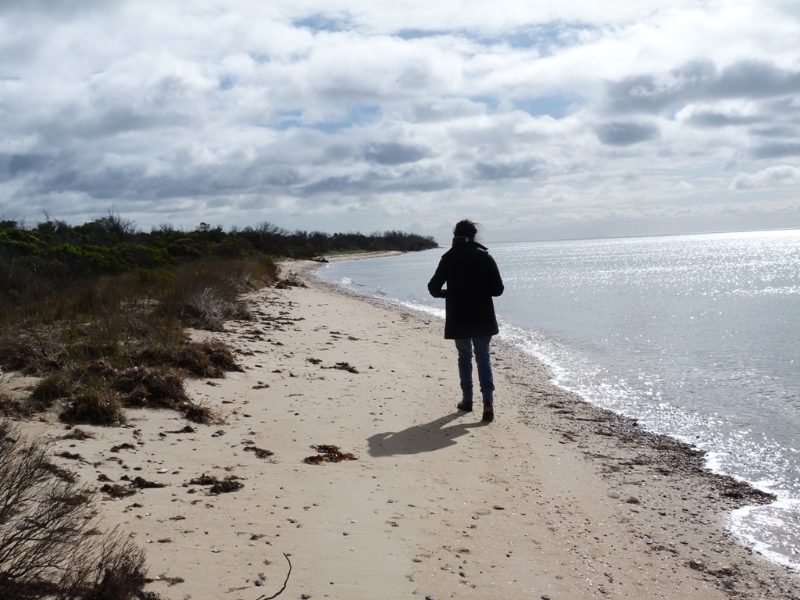 When you reach the "Two-Bays Lookout Walk" sign, turn left towards the beach. (However if you are feeling fit, it is possible to continue your walk south along the Two-Bays walk, 6km return to Beach Road). If the tide is out you can complete the walk by walking back along the beach to Beach Road. It is possible to get a tidal forecast at http://www.bom.gov.au. Some details above are adapted from Parks Victoria notes. Facilities: There is a large car park at the start of the walk, an information board and a picnic bench. 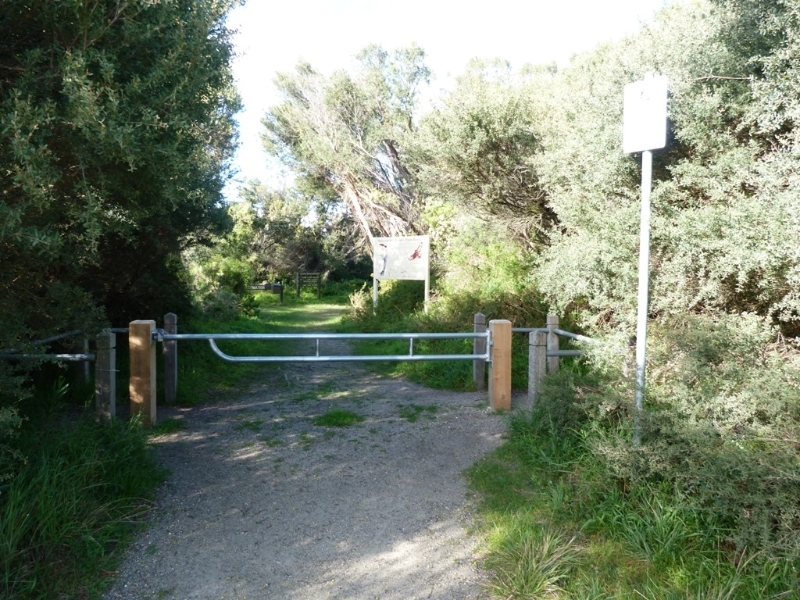 Access: The walk is 115km south of Melbourne and 33km east of Geelong. The walk starts at the end of Beach Road. To get to Beach Road, turn off Bluff Road at Cliff Street. Then turn left when you reach Beach Road. By Bus/Walking: From Geelong you can take bus route 79 towards St. Leonards and get off at the corner of Spinnaker Drive and Main Sail Drive in St. Leonards. It is a 1km walk from here to the start of the walk. Head south along Cliff Street and turn left onto Beach Road. Very hardy and successful near coasts. It helps to bind sandy soil, is also good for getting rid of polluted water. 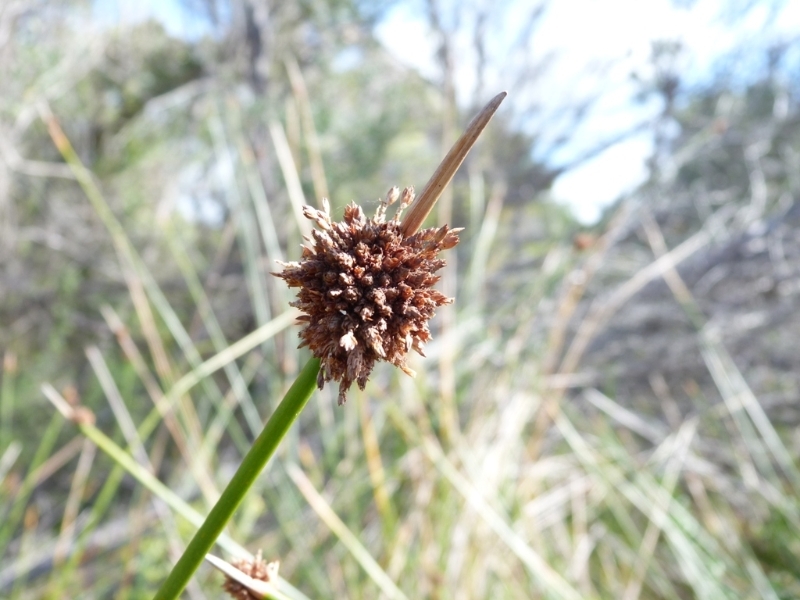 Aboriginal people used this in combination with sedges for weaving. 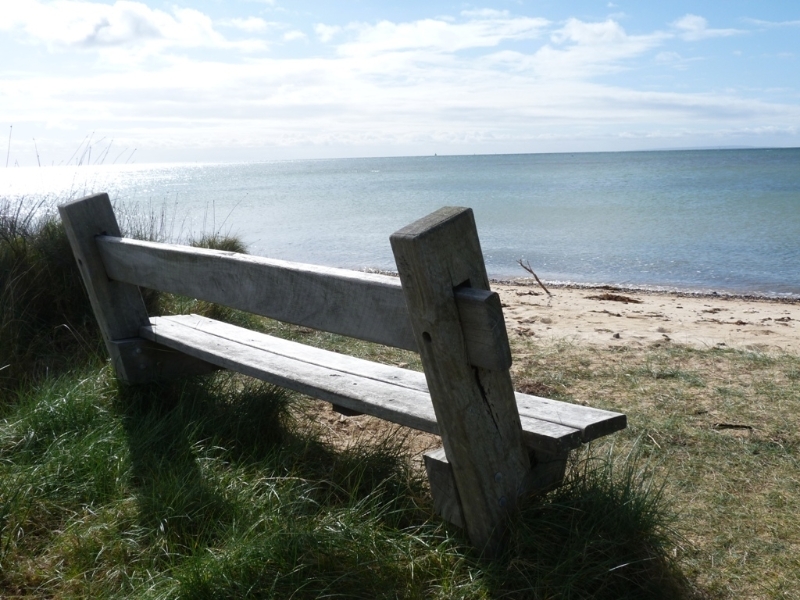 As soon as you reach the beach there is a seat where you can rest for a moment. You might spot a dolphin or banjo shark if the water is calm. If the tide is out you can return to Beach road via the beach. Shells can tell some interesting stories. 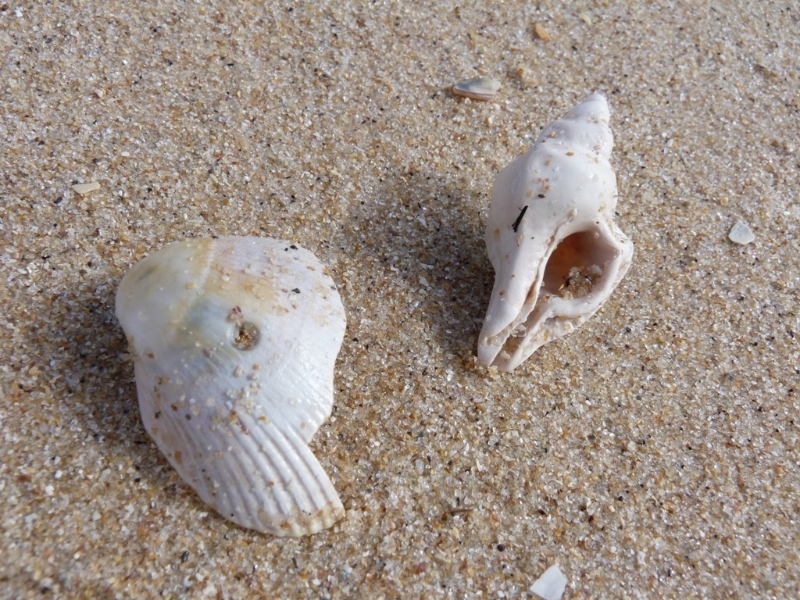 Dog whelk (right) drill holes into cockles through their shell and then into their flesh. The flesh weakens from pressure, the shell opens. Dinner time. At the start of the walk there is a very good information board giving details about the walk. Just inside the gate there is a picnic bench in a lovely setting. A good spot for lunch when you return. 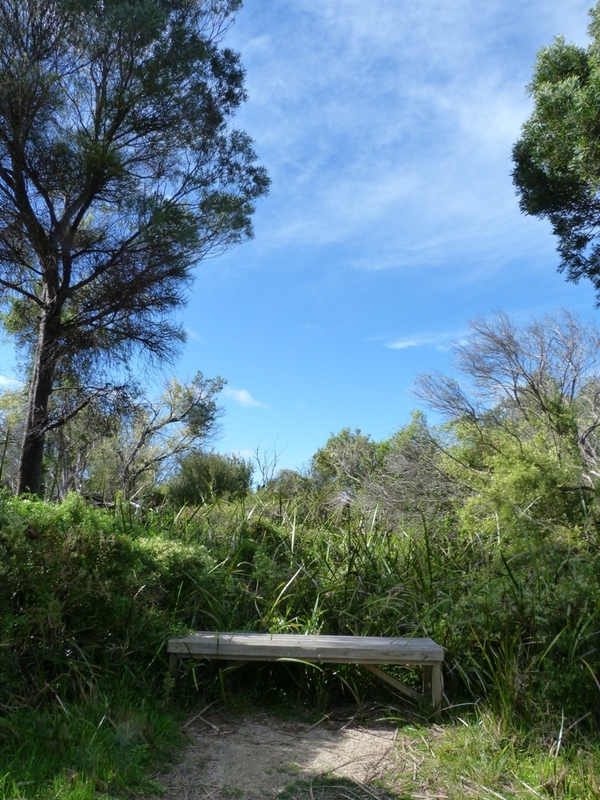 This is the last remaining section of coastal woodland on the Bellarine Peninsula. There is a vast array of indigenous plants along the way. This particular tree cannot be missed on the walk. 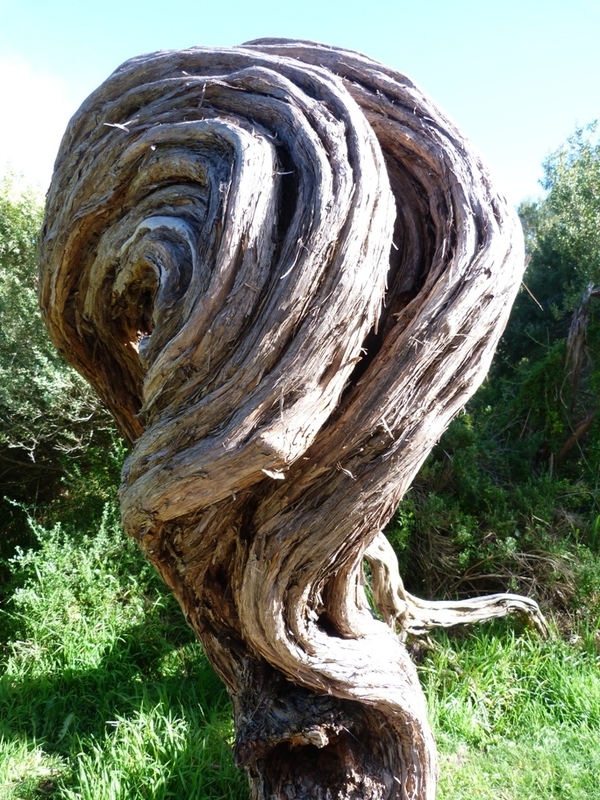 It tells the story of a hard and windswept life. Watch your step as you walk along the path. 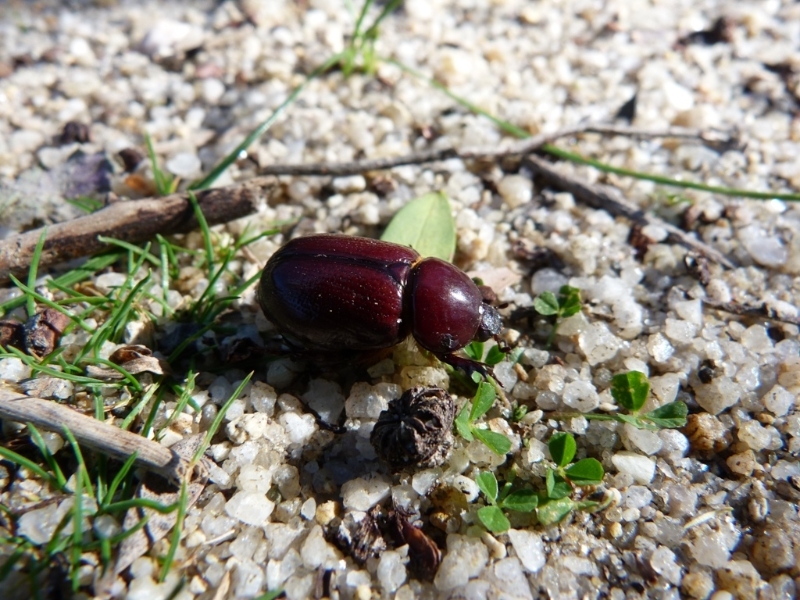 You might encounter very interesting insects braving the open plains of the pathway to find food on the other side. 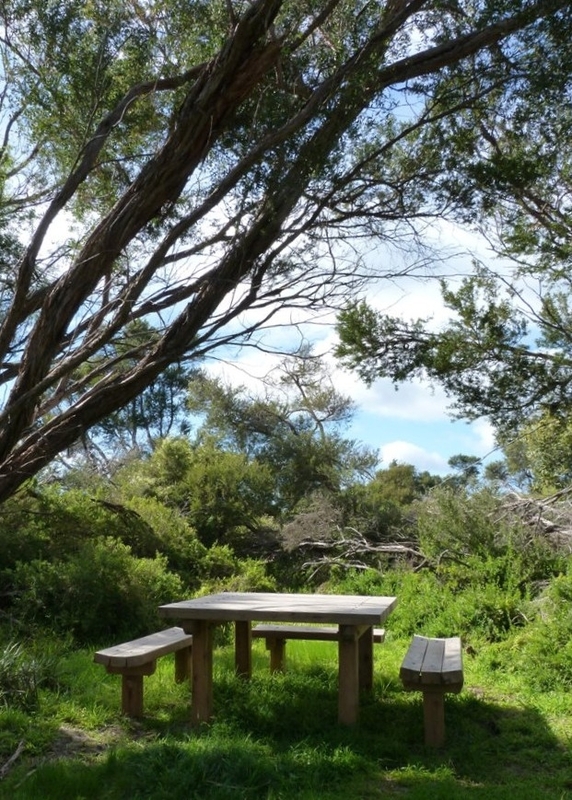 A bench immersed in local flora, where you can sit and take time to spot some of the abundant wildlife that this coastal woodland supports. From July to November you will see cream, star-shaped flowers in abundance. 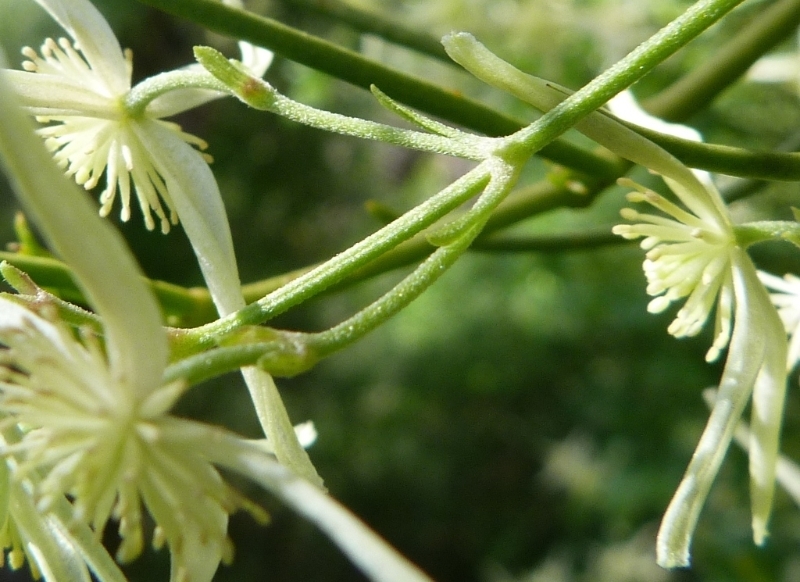 Male and female flowers are borne on separate plants. The Aborigines cooked and kneaded the tap root to make dough. Great views of water filled marches great the walker when you leave the coastal woodland. Look up! 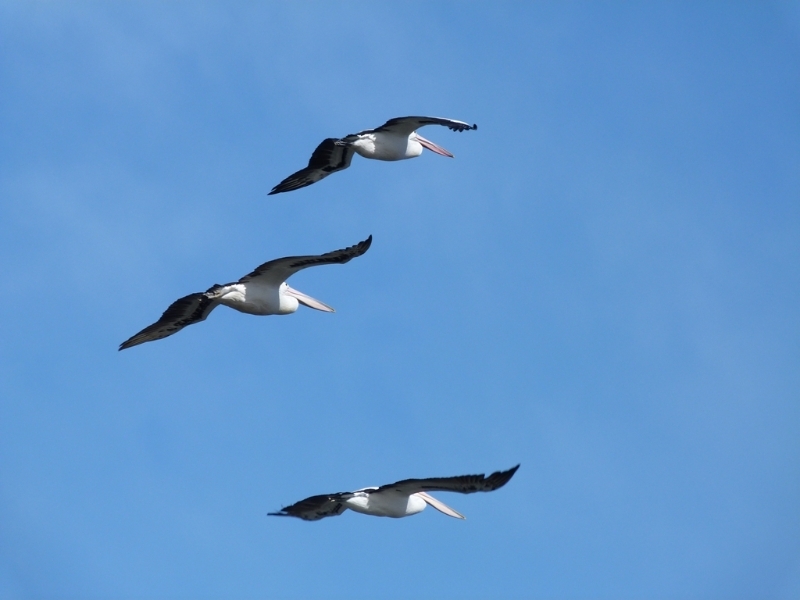 Pelicans normally fish together. They herd fish into a central position, and then plunge their bills into the water to capture a fish. 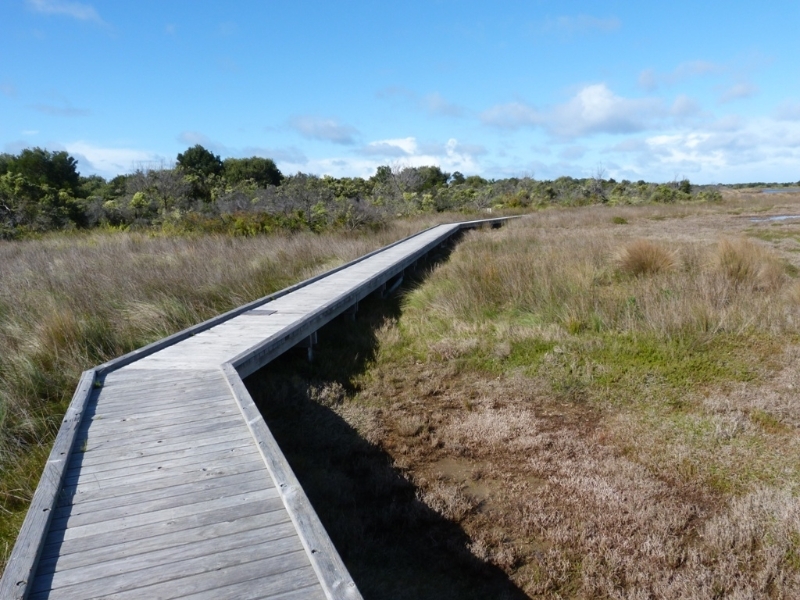 This fabulous boardwalk allows the walker to explore life in and around the lagoons. 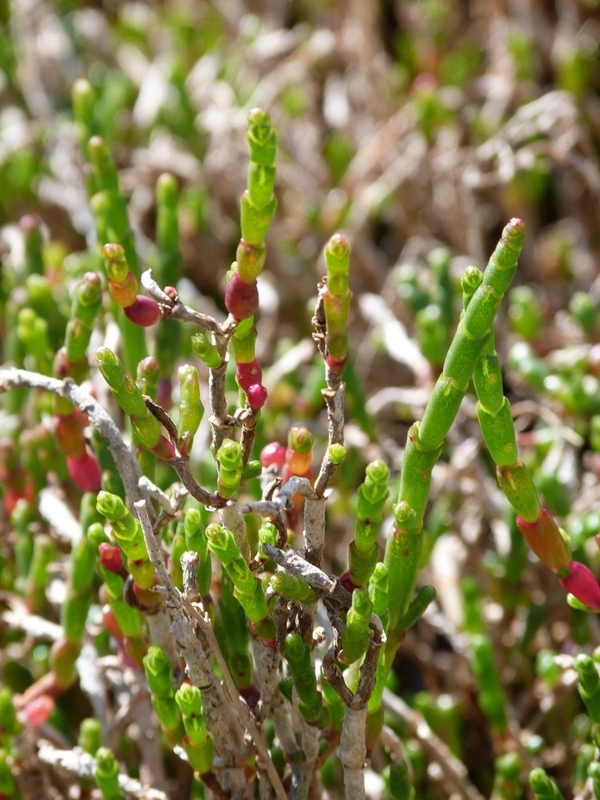 Beaded glasswort is abundant around the boardwalk. Their seeds are a major winter food source for the very rare Orange-bellied Parrots who migrate to Swan Bay from Tasmania each winter. Grass skinks and tiny birds shelter and forage among grasses and sedges. Butterflies lay eggs on sedges, a food source for their caterpillars.